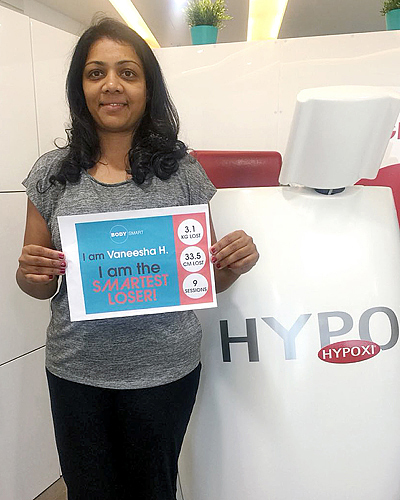 Vaneesha H. is a loyal customer of “Body Smart” and comes every now and again for a top up when she feels it’s needed. HYPOXI really works quickly on her body. She did a short combination course on the HYPOXI-Dermology Comfort followed by the HYPOXI-Trainer S120. In only 9 session she lost an incredible 3.1 kg and 33.5 cms from the lower body.